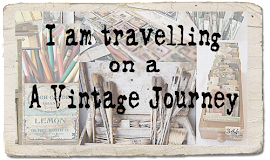 Hi everyone...Annie here with the 3rd stop on this month's journey DI post. I hope you are enjoying the fabulous inspiration provided by Nikki and Alison, which can be viewed by clicking HERE and HERE. 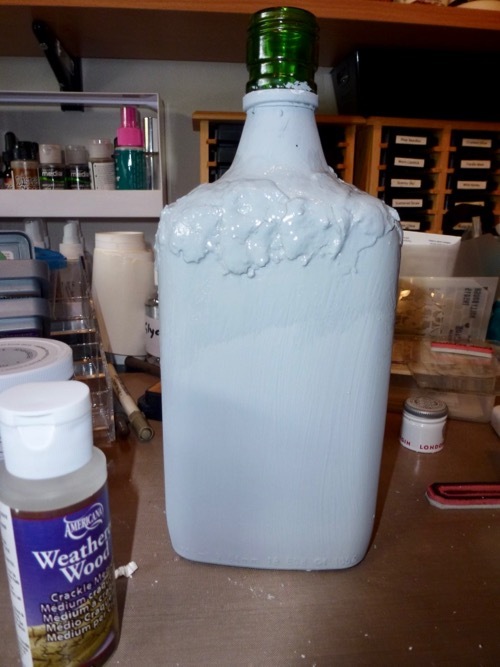 It never ceases to amaze me how we can take 4 of the same products and end up with a totally different outcome and I certainly enjoyed creating my home decor piece. Sorry for mentioning Christmas but I guess it will be here before we know it !!!! As you can see I started off with an empty bottle...having enjoyed the contents !!! 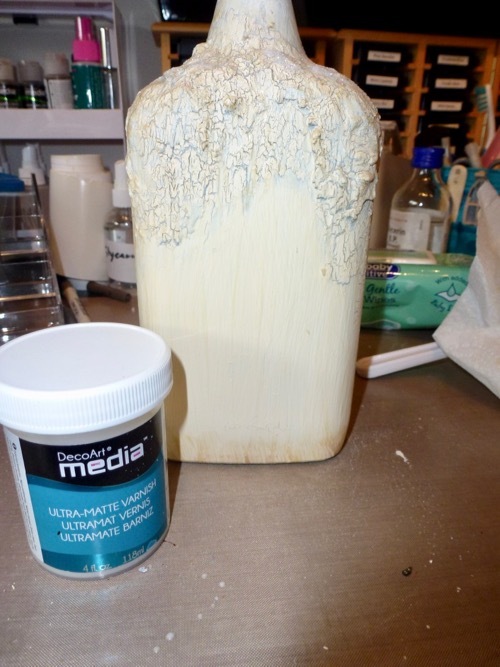 I then applied Decoart Weathered Wood around the shoulders of the bottle and then randomly on the main bottle/sides. 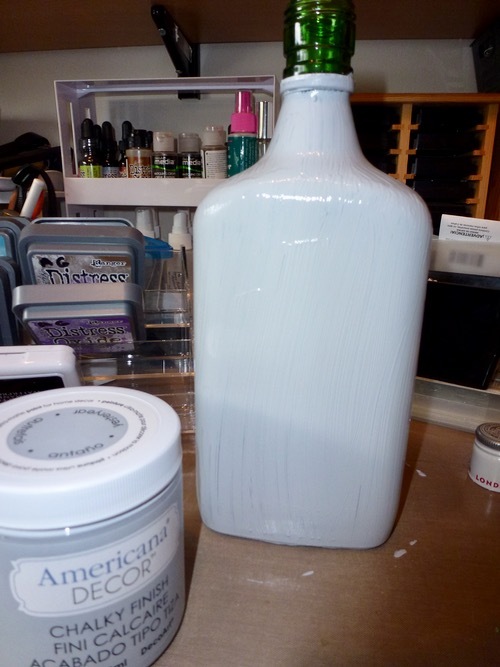 When almost fully dry I applied my second colour of Chalk Paint by Decoart called Whisper. 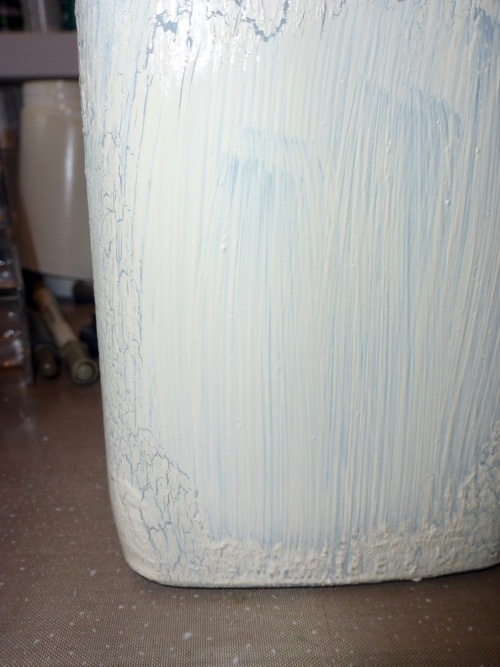 A lovely cream coloured paint. I so love the way the Weathered Word reacts and the amazing crackles. A closer up of the random cracks below. Some stardust sparkle was sprinkled on to the mate varnish for that added Christmas feel. 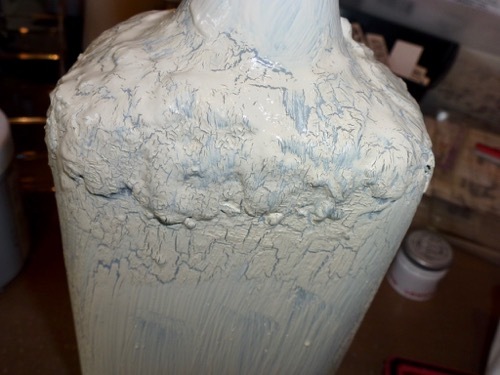 I then adhered the napkin with gel medium applying the medium to the bottle before laying the napkin on top. 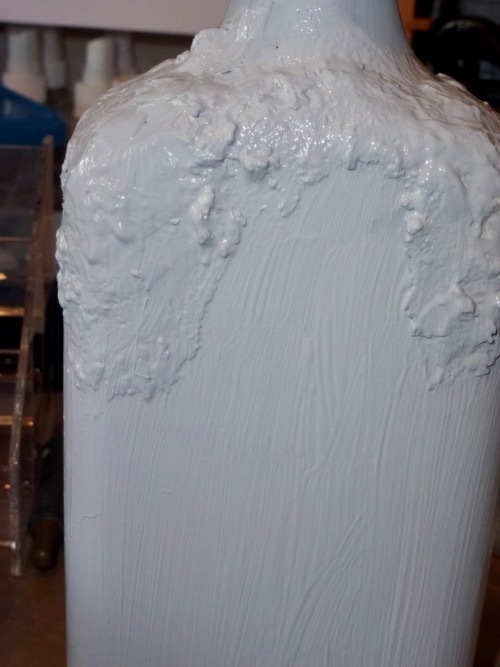 Then some more gel medium was applied over the napkin, taking care not to tear it. 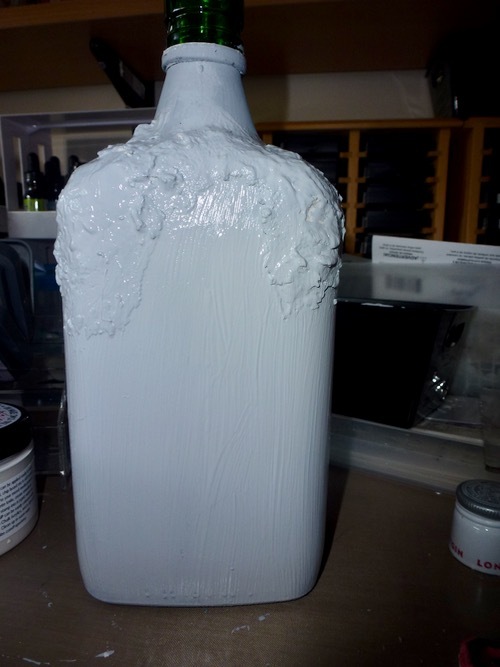 I applied the same gel medium to the neck of the bottle and then wound some string around. 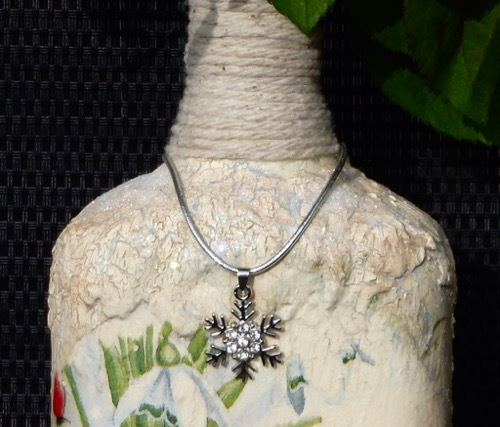 A little snowflake gem was attached to some silver thread. Our monthly challenge is being hosted by the lovely Amanda and her theme is Watercolour. The challenge is open until 31st August so why don't you join in with us. 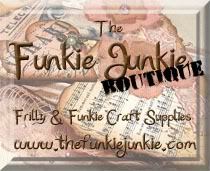 This month's sponsor is Craft Obsessions who are offering a prize to be spent at their online store. One of the Creative Guides will be back next Monday with the 4th leg of our journey so I hope to see you there....until then....Happy Crafting ! What a great piece of art, Annie! 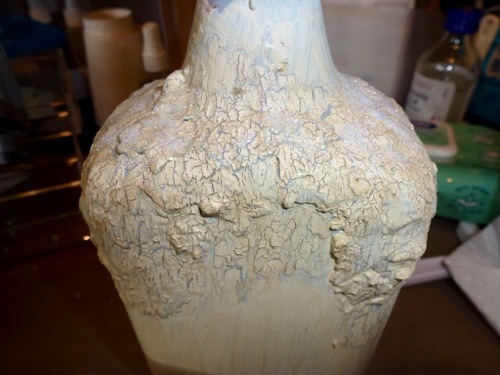 I love your beautiful bottle! Have a great week, my friend. 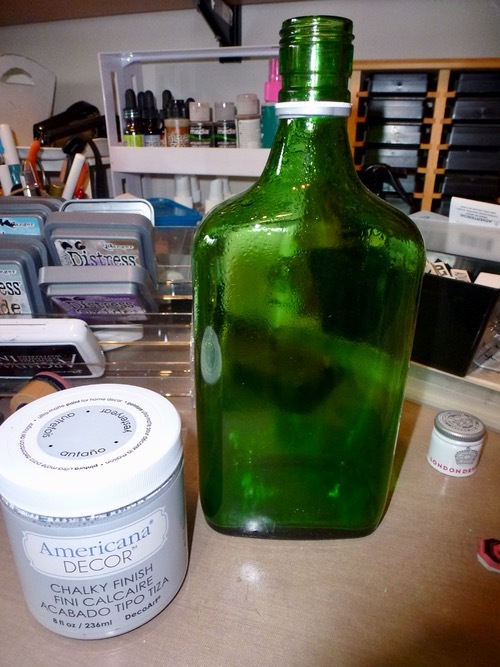 I love your beautiful altered bottle! It looks amazing! What a wonderful piece of Christmas home decor , Annie. 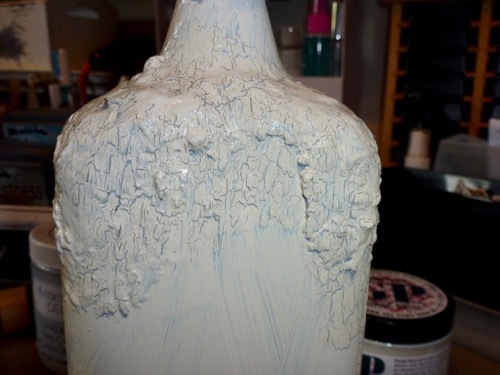 Such a fabulous transformation of the bottle with all those gorgeous neutral tones and the fabulous crackle . Your robin makes such a delightful focal feature and adds such a lovely pop of colour and nod to winter. Such an inspiring way to use the contents of the travel bag Annie. 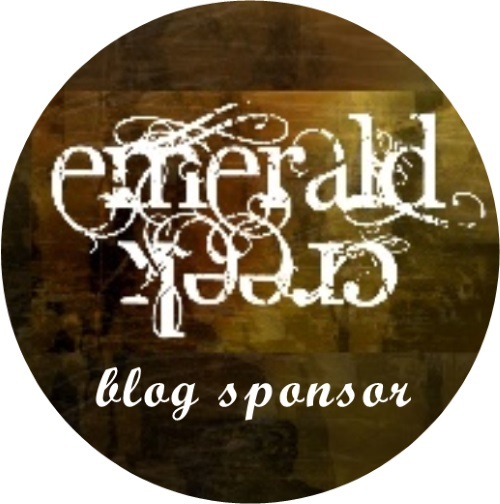 Love your project and really enjoyed reading your post and seeing the stages of creativity . 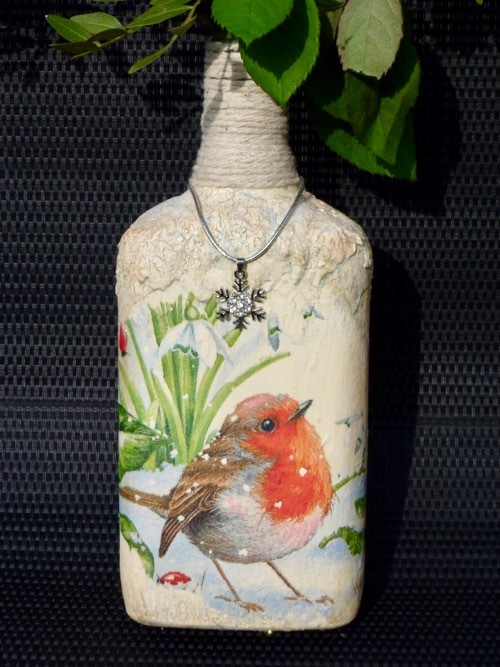 Absolutely charming, Annie - of course we'll forgive the robin for his redbreast - he looks so adorable on your altered bottle. 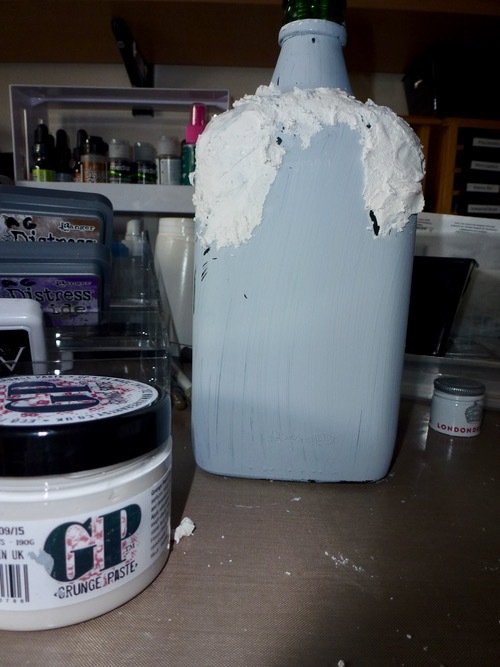 Delightful use of the travel bag contents! 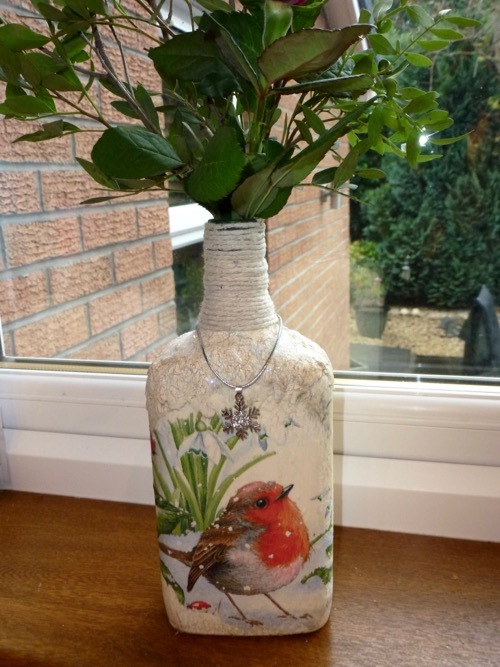 Wow Annie, what a stunning creation, the textures, crackle and charm look lovely in changing the appearance of this bottle, but your little showstopping Robin stole my heart as he sits so proudly, beautiful work. A really amazing outcome and lovely work and detail indeed. Nice of you to share, greetings! Slip of the fingers should have said ANNIE !! Absolutely gorgeous, Annie! A beautiful tutorial as well. Your bottle is simply gorgeous. Love the little robin and the wonderful crackling and texture! Brilliant! How lovely. You have inspired me to have a go with napkins now.